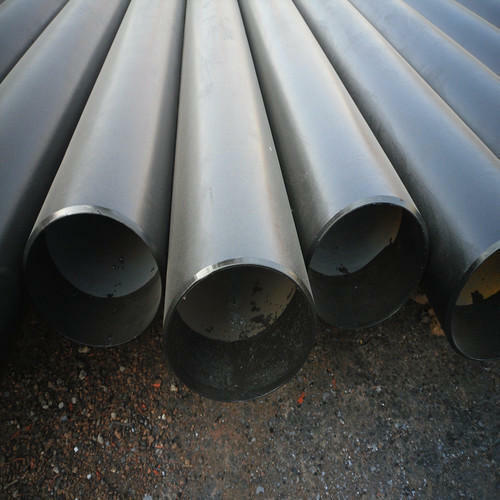 Aesteiron Steels Pvt Ltd, offers a range of ASTM A335 P9 Pipe. We also manufacture ASTM A335 P1 Pipe, ASTM A335 P2 Pipe, ASTM A335 P5b Pipe, ASTM A335 P5c Pipe, ASTM A335 P5 Pipe, ASTM A335 P11 Pipe, ASTM A335 P12 Pipe, ASTM A335 P15 Pipe, ASTM A335 P21 Pipe, ASTM A335 P22 Pipe, ASTM A335 P23 Pipe, ASTM A335 P24 Pipe, ASTM A335 P36 Pipe, ASTM A335 P91 Pipe, ASTM A335 P92 Pipe, ASTM A335 P911 Pipe, ASTM A335 UNS K11597 Pipe, ASTM A335 UNS K21590 Pipe, ASTM A335 UNS K41545 Pipe, ASTM A335 UNS S50400 Pipe, ASTM A335 UNS K91560 Pipe, ASTM A335 UNS K92460 Pipe. ASME SA335 P9 is the standard for seamless ferritic alloy steel pipe. It is suitable for bending, flanging, similar forming operations & for fusion welding. Legal Status of FirmLLP under LLP Act, 2008. Since 2007, Aesteiron Steels Private Limited is engaged in distributing, exporting and supplying a quality array of Stainless Steel Plates. The range of products offered by us encompasses Titanium Round Bar, Stainless Steel Round Bar, Nickel Round Bar. Also, we offer Aluminum, Brass, Nickel, Cupro Nickel, Hastelloy, Copper, Hex Round Bars and Square Bar. We export products in Dubai, Italy, Spain, etc. The range made available by us is manufactured using excellent quality stainless steel, aluminum, copper, brass and other material that are sourced from most trusted and reliable vendors of market with the aid of our procuring agents. All our products are highly appreciated by customers owing to their intrusive attributes such high tensile strength, dimensional accuracy, durability, sturdiness and abrasion & corrosion resistance. We have developed a multifaceted infrastructure facility for smooth functioning of the business operations. This facility is installed with latest machines and advanced technology that are essentially required in the manufacturing process. Also, we have constructed a capacious warehousing unit that enables us to store the offered range, safely. Proper segmentation of this unit has been done to store the products under their respective categories in a systematic manner. Due to these reasons, we have built a vast customer-base across the nation. "Also we AESTEIRON Steel, is having ISO 9001:2008 certification awarded by BUREAU VERITAS and NQAC INTERNATIONAL".